With offices in Austin, Marble Falls and San Antonio, Capitol Home Health is a family-owned and operated agency that has been providing home healthcare in Central Texas since 1998. 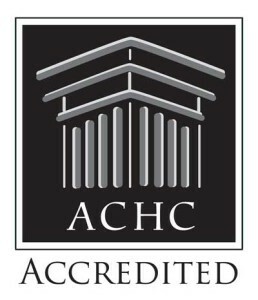 We are proud to say we have earned ACHC accreditation, which is the same body that accredited many of the top home healthcare agencies across the country, and are one of the very few home healthcare agencies to hold this accreditation. At Capitol Home Health we’re lucky enough to be able to work with an amazing staff of peers and family. The short video below will introduce you to our staff and family, tell you about our process, and explain why so many patients choose us for home healthcare. You can also see the individual staff bios. These rates are constantly changing, but the rates below demonstrate how we very often compare to national averages. At Capitol, giving back to the community is something we pride ourselves on! Click the link above to learn more about how we stay involved. If you are looking for services such as Hospice Care, our other Capitol company can help! Capitol Hospice provides a way of living with comfort, dignity, hope and support during advanced illness. It’s never too early to start looking into hospice care and we would be more than happy to answer any questions. Please call our Austin/Marble Falls office at 512.637.6928 or our San Antonio office at 210.625.4731 for additional information.